The earth in some regions is getting hotter and dryer, while in others storm and heavy rain is destroying peoples lifes, forcing them to leave and migrate. There is no daubt about this fact. 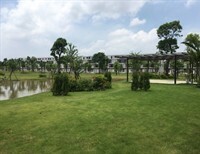 But at the same time there can be observed a certain indifference towards ecological topics as coping with climate change among Catholics. 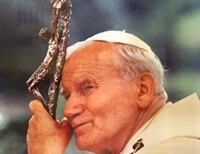 Pope St. John Paul II had a great love for Mejdugorje. To illustrate this, I wanted to share the amazing firsthand account of a meeting he had with the reported visionary, Mirjana Soldo, in July 1987. 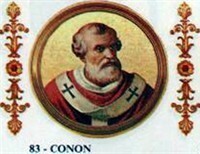 Conon, or Konon, was a man of Greek or Syrian heritage. His father was a commander in the Byzantine army of the Thracian province. This is now known as Bulgaria, Greece and Turkey. The future pope was probably born in Sicily, around 630, when Syracuse was the Empire’s westernmost outpost, a favorable position for an army commander. After hundreds of years of Italian popes, John of Antioch, son of Cyriacus, was elected in july 685. 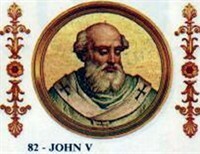 John was the first of a line of ten men of Eastern origin who rose to the papacy in the seventh century. This appeared to show a reconciliation between the East and the West after the Monothelite heresy almost destroyed the Empire. The Church has talked about the need to forgive our enemies for centuries. One of Jesus’s greatest missions during his last hours on earth was to forgive his enemies. Not only did He forgive those who hurt Him physically, his soul was hurt by betrayal from his close friends and those who had followed Him. 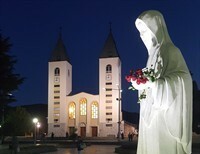 Here are facts regarding Medjugorje. 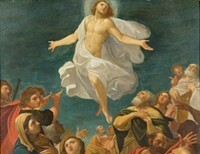 May they provide help in discerning the authenticity of these daily reported apparitions. She thought she was a straight “A” student. Well maybe at one time back in public grade school she got her little “A's”. She thought that’s who she was and anything less was an aberration. 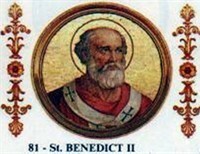 Benedict, son of John, was born about 635 AD in Rome. As a youth, he was sent to the schola cantorum, which had been set up by Pope Gregory to teach chant to young men. Here, Benedict excelled in his knowledge of Sacred Scripture and in his ability to sing. He became a priest and was remarkable for his generosity, humility and love of the poor. When news of Archbishop Carlo Maria Viganò’s letter first broke during August of 2018, it felt emotionally crushing. 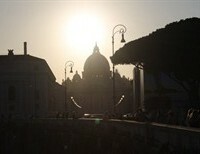 As converts to the Catholic Church in 2005, it was particularly challenging for our family to stomach the allegations. 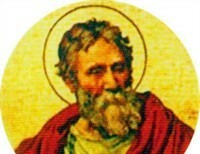 This week’s pope was born Leo Manelius, in Sicily about 611 AD. His father was known as Paulus. This was a time when many Sicilians headed to the mainland. The Islamic Caliphate, still less than 50 years old, was conducting raids on Sicily. 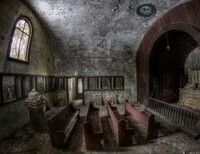 It was not a safe place to live, especially for those who were Christian. 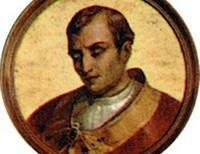 Pope Agatho was most likely the oldest of all the popes. 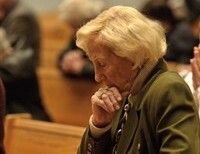 It has been said that he was already 100 when he was consecrated. 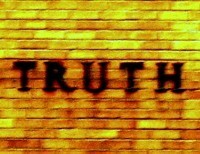 Recently, in response to one of my articles, I was chastised for not acknowledging or accepting the "truth" of the survivors of victims of homicide with respect of the imposition of capital punishment by secular authorities upon violators. I am writing to clarify my comments and my position, as well as define a pathway for future dialogue. 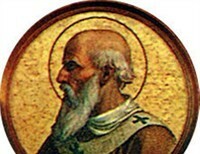 Donus was another old man elected Pope. He, too did not last very long.